Put down your standard gin and tonic and shake up a classic gin cocktail, the Singapore Sling! Loaded with gin and juice, your happy hour cocktail is sure to please! 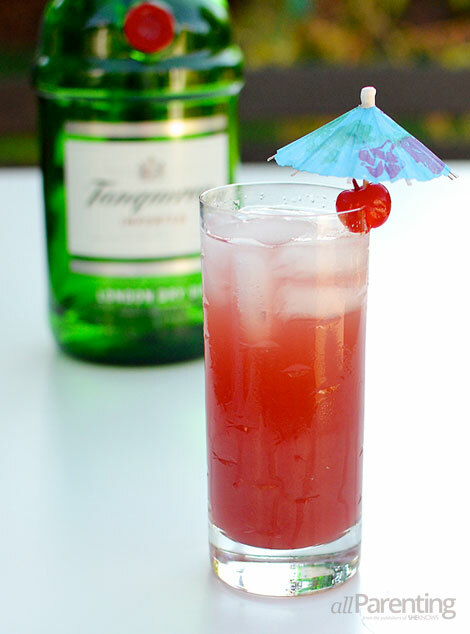 The Singapore Sling is a Southeast Asian cocktail and was developed by a bartender working at the Long Bar in Raffles Hotel Singapore. It was originally called the gin sling. A sling was originally an American drink composed of a spirit and water and then sweetened and flavored. The drink was supposedly created to please the ladies, so in that great tradition of chick drinks, it's pretty, pink and hides its kick behind sweet fruit juices! Place the gin and martini shaker in the freezer for 30 minutes. Fill your martini shaker with ice. Add the gin, Cherry Heering, Benedictine, Cointreau, pineapple juice, fresh lime juice, grenadine and Angostura Bitters to the shaker and shake vigorously until well combined. Strain into a hurricane glass filled with ice. Top with soda water. Garnish with a cherry, pineapple slice or orange.